The M14EBR is an Battle Rifle first introduced in the 10-25-10 Content Update. This rifle is very powerful and very accurate. However, it is heavy and possesses a 20 round magazine. The recoil on this gun is similar to many rifles of its caliber, such as the SA58 Para. This gun however is a strong 2-3 hit kill to the chest and a one-shot kill to the face using a 7.62x51mm NATO cartridge. 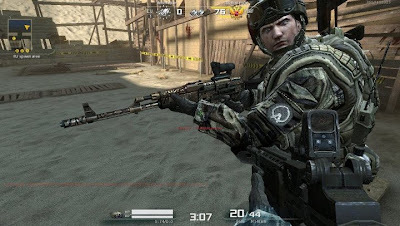 This gun can be purchased a Sergeant First Class First Class for 54K euro. The M14 must always be tapped, even at close range, as when bursted, the recoil pattern goes haywire and side-to-side recoil occurs. This gun is not popular, as many people see it's high recoil, very low ammo count, yet expensive cost as bad factors for a decent assault rifle. 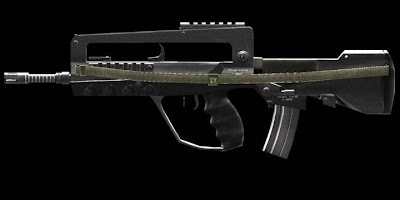 However, it can serve as a "training gun" for players who wish to buy a SA58 Para in the future (at the rank of Master Sgt.). 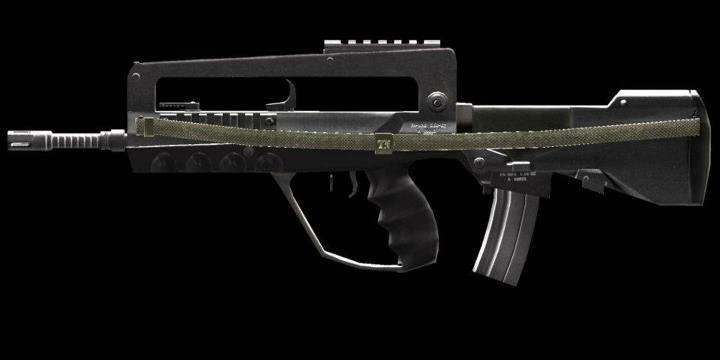 But this gun is like the Kriss Super V, it can easily compete with the top-tiers, but people just seem to not like it.